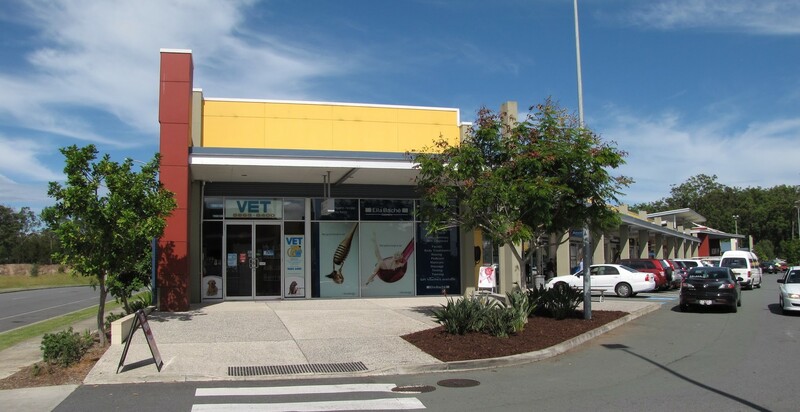 We are your local friendly Vet on the northern Gold Coast! Our team have many years experience in the veterinary field with many pets ourselves so you can rest assured we’ll treat your pets as part of our family. We value our client and patient relationships and you will see the same faces at every visit. Located in Coomera Square, there is plenty of parking and other great shops including Woolworths and Zarraffas Coffee. Please feel free to call us if with any questions or drop in for a visit. At Coomera Springs Vet Surgery, you will always see the same vet and nurses (unless we take one of those rare holidays!). We are an independent clinic, not part of a big corporate chain, and we pride ourselves on our customer relationships and giving you personalised service. We are committed to providing you and your pet’s with exceptional service and the very best in veterinary medicine and preventative health care so that we can live up to our mission statement: “To ensure our client’s pets lead happy healthy lives”. Andrew is the owner and one of the two full time Vets here at Coomera Springs Vet Surgery. Originally from Darwin, Andrew moved to the Gold Coast in 1992 and finished high school at Coombabah High. After studying Veterinary Science at the University of Queensland and graduating in 2000, Andrew worked in Maleny in the Sunshine Coast Hinterland for 14 months. He then worked in Beenleigh for about 2 1/2 years before heading over to England. Andrew spent almost 6 1/2 years working in various practices in the UK before moving back to the Gold Coast in January 2011 with his wife Sarah and their young son Ethan. He has lived and worked in the Upper Coomera area since then. Andrew now has a second child, little Imogen, and he has a Burmilla cat called Willow and some fish. Andrew started working at Coomera Springs Vet Surgery in March 2012 and purchased the practice in September 2014. 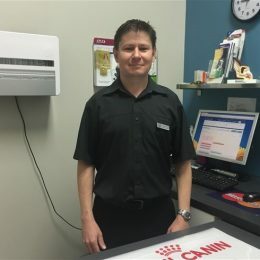 Having grown up on the Gold Coast, living locally and with over 17 years’ experience as a Vet, Andrew is a friendly local that you can trust to care for you animals. Carey joined Coomera Springs Vet Surgery in mid-2011 when she decided to start Vet Nursing. 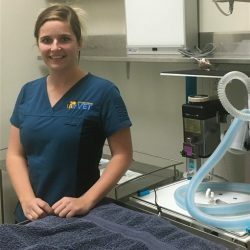 She had always had pets and decided to take the plunge to follow her lifelong dream to work full time with animals by becoming a Vet Nurse. 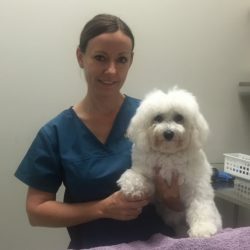 She has now completed her Certificate IV in Vet Nursing and enjoys the interactions with clients and the ability to help them and their animals. Carey lives with her husband Brett and their teenage son Cameron. She also has her “furry baby” Roxy, an Australian Bulldog X.
Tanieka joined the Coomera Springs Vet Surgery team in 2012. After volunteering to work here we were so impressed with her commitment to becoming a Vet Nurse that we offered her a job. She is in the middle of her training and study for a Certificate IV in Veterinary Nursing. Tanieka has a bit of a menagerie at home, with 2 dogs, Saphire and Baby, a budgie, Frankie, and two cats Storm and Cloud! 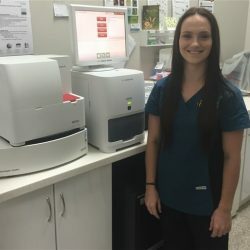 Ashlea joined the Coomera Springs team in September 2014 after coming back to the industry after being on maternity leave following the birth of her Son in early 2014. She has been in the industry since 2009 and has been nursing for the past 5 years. Ashlea is very passionate about all aspects of the Veterinary Industry, not only helping pets but providing the best care and advice to their owner, which is what makes her job so rewarding. As much as she would like to have many pets of her own, with a busy schedule with a 2 year old Son she only has one dog whose name is Taj. He is a 10yo Maltese X who she adores and spoils very much.